The history of segmentation of digital images using computers could be traced back 40 years. Since then, this field has evolved very quickly and has undergone great change. 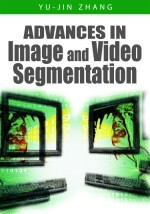 In this chapter, the position of image segmentation in the general scope of image techniques is first introduced; the formal definition and extension of image segmentation as well as three layers of research on image segmentation are then explained. Based on the introduction and explanations, statistics for a number of developed algorithms is provided, the scheme for classifying different segmentation algorithms is discussed and a summary of existing survey papers for image segmentation is presented. These discussions provide a general rendering of research and development of image segmentation in the last 40 years.